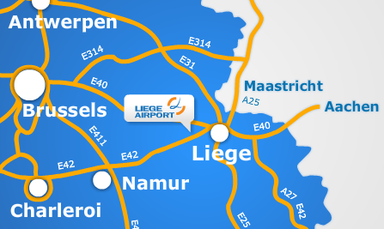 Air freight tonnage increased over eight percentage points at both Belgian airports last year, with Liege reporting record volumes, cementing its leading national position as freight hub. 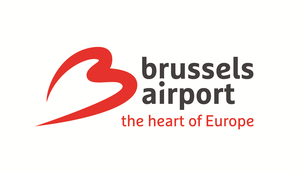 Runner-up is Brussels Zaventem that reports the highest volumes of the past ten years. Both airport’s 2017 cargo figures are quite similar: Liege reports an all-time record of 717,000 tons handled, corresponding to a growth of 8.5 percent over the previous year. Freight throughput at Brussels developed almost likewise, evidencing 675,000 tons of freight handled of which 535,600 tons were flown, representing a y-o-y increase of 8.3 percent. Turning to Liege, it is noteworthy to mention that growth continued to be mainly driven by integrator FedEx/TNT and their feeders, above all ASL Belgium. On top of this, however, the airport managed to attract additional cargo operators like AirBrideCargo and Air China Cargo, both serving LGG with Boeing 747 freighters. The outcome is a record year with volumes literally going through the roof, LGG’s CEO LUC Partoune is pleased: “We had never achieved such a tonnage since Liege Airport came into being in 1990. 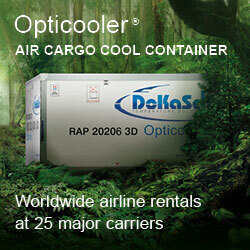 This confirms our strategy of support for cargo carriers,” he states. As already previously reported by CargoForwarder Global, LGG has sped up their investment program to support the cargo industry’s growth at the Walloon airport. “One 6,000 sqm cargo facility will be in operation within the next few weeks, and more than 20,000 sqm will soon be built, as well as four new parking stands for large aircraft. It represents a major investment of more than 50 million euros creating, as a result, several hundred jobs,” Liege Chief Partoune explains. Cargo keeps playing the first fiddle at LGG, leaving only a subordinate role for passenger traffic. Seen by the 192,000 travelers that arrived at / or departed from Liege last year. Worth noting is also that the number of movements remained steady at 37,199 flights in 2017. The LGG management expects the net income to amount to €2.4 million. As is with LGG, their Brussels Cargo peers also were pleased by the 2017 cargo figures achieved, representing the highest volume recorded within a decade. Besides the general growth in cargo, it was particularly the volumes transported in the lower decks of passenger aircraft that saw a sharp recovery, increasing 13.8 percent compared to 2016. Another growth driver were the integrators that reported a volume plus of 9.7 percent y-o-y. In contrast, the full-cargo segment grew only moderately (+3%). “This 3% growth follows an increase of almost 15% last year compared to 2015. So despite some noise issues we had in Q2 resulting in a few airlines leaving the airport, we are very pleased to see that tonnage picked up again by the end of the year still resulting in an overall growth in this segment,” states Steven Polmans, Head of Cargo and Logistics at Brussels Airport. The manager went on to say that particularly export volumes upped the tonnage, increasing by almost 16 percent. “We have seen a remarkable increase in our volumes to especially the Far East and South America, supported by a strong performance of the European and Belgian economy,” stated Steven. 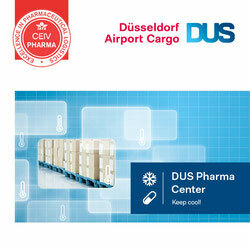 Remarkable was also the increase of pharma shipments at BRU, growing by 18 percent last year. Turning to 2018, the airport management expects cargo volumes to continue their strong performance. Additional business should be contributed by Emirates through their second B777 daily flight, Cathay Pacific that starts A350 operations to Brussels, Hainan Airlines with their B787 flight from Shanghai and finally Amerijet which will commence a Miami to Brussels rotation, connecting their Central American network with BRU.